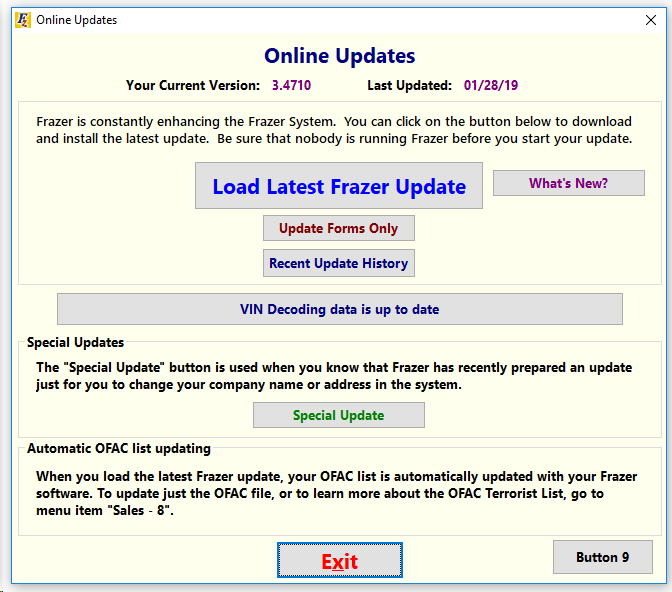 When entering the VIN of a vehicle, the Frazer program automatically populates the vehicles characteristics and features. This information is provided by Polk. ***All updates MUST be done from the main server computer for Frazer. Be sure that all sub-windows are closed in the program and that Frazer is closed on all workstation computers in the network. Once downloaded, the update will apply itself automatically. You will not need to do anything.